ON CULTURE: Instead of accomplishments, we prefer to call it our contributions. At the top of our list is Culture and Believing in one’s self. Confidence would have been an easier word but believing in one’s self has a deeper meaning. Let me tell you a touching story. The father of an archery athlete named Niño approached me in a gathering. I didn’t know him. He explained how happy he was that his son was helping out as a volunteer coach in Guadalupe public elementary. Their family was supposed to go on a 3-week vacation but he pleaded with his father to cancel the vacation because he was assigned to give lessons in archery. The father recounted to us the story with so much pride in his son for how responsible he has become. The Guinness records in archery, chess, arnis, and winning the overall title in Batang Pinoy, the summer grassroots, the volunteer coaching, etc. were all tools to achieve this culture. The success of any nation or business is its culture. Our theme, “Transforming our youth thru sports,” is about character-building. Sports can either bring out the best or worst in an athlete.. the gold medal is just part of the journey, not the end. 2017 PLANS. To work closely with DepEd. 1) We have plans to implement a school for sports where all athletes will be in one classroom. They will have different class schedules. 2) An assistant principal for sports in the schools for sports. 3) Develop incentives for public school teacher-coaches and school principals so that the athletes and coaches will be better attended to. 4) Assign high level coaches to train public school teacher-coaches to raise the level of coaching competence. 5) Institutionalize strength and conditioning programs into public school sports programs. 6) Assign 25 volunteer high-level coaches to offer free coaching thrice-a-week, year-round in the Abellana sports center catering to Abellana high school and city central elementary. That’s a potential source of athletes having a population of 9,000 students. If this succeeds, we’ll do similar programs with other schools. Why are our focus in public schools? Because the students have the least opportunities and resources and yet, they are our richest sources of athletes. Most of these kids cannot afford a P300/session coach. But these kids have the heart of an athlete — they thrive in adversity. We provide them with a hope for a better future. ON BUTCH RAMIREZ. 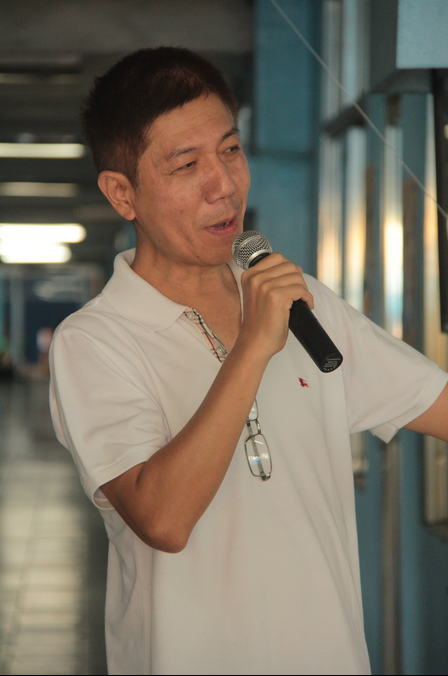 The PSC Chairman is supportive of Cebu because he has been closely watching our programs when he was chairman in 2005. Since then, we’ve been in touch and have always appraised him of our grassroots program which now covers 25 sports, and also our Guinness records. Thru volunteerism, we develop the passion and dedication of the athlete for the sports, instead of being obsessed and entitled. This culture has a rippling effect. Winning medals now has a deeper meaning and a gold medal weighs heavier in a different way. When an athlete who has volunteered wins a medal, he wears it with a deeper sense of pride. ON DEPED. I’ve been trying to lobby this idea, still a hard sell, that the PSC chairman needs to be the undersecretary of DepEd for Sports. As long as PSC is not part of or not an insider of DepEd, the sports programs policies of PSC cannot be implemented effectively, especially the grassroots program. Just like CCSC. We have a sports program but who do we implement it with? There is no single unit in Phil. govt. that has the command of warm bodies. Only DepEd can make a memo, require and produce the number of kids. That’s why CCSC works closely with DepEd. All our programs are thru DepEd. Once we realize this organizational “flaw,” we can be an effective conductor of the orchestra. FINAL WORDS. I’m not really a sports person. During the Los Angeles Olympics, the stadium was in front of our hotel. I didn’t even watch! It doesn’t excite me to be in a competition. I’d rather watch Broadway! What an irony? In short, sports to me is a tool. A social screwdriver or pliers to pry open the potential of the underprivileged kids and “make them believe in themselves.” As businessmen, we approach the sports program like a social entrepreneur: we see coaches as managers, athletes as employees, the product as medals and the grassroots training pool. Right culture plus motivated employees equals productivity! Yesterday and today, it’s all about moving forward. Forty four modified racing vehicles — all Toyota Vios cars colored red, black and gray — will move fast forward as they compete in the Vios Cup race in Cebu. I passed-by the SRP yesterday morning. White tents stood erect. Barricades cordoned the road. Clean asphalt glistened in the 33-degree sun. A large stage where non-stop partying will transpire loomed tall at the Sugbu Building. It’s the Vios Cup — a first for Cebu! What’s “waku-doki?” It’s a Japanese term for feeling super-excited. It’s that adrenaline rush that envelopes the body before a racing event. 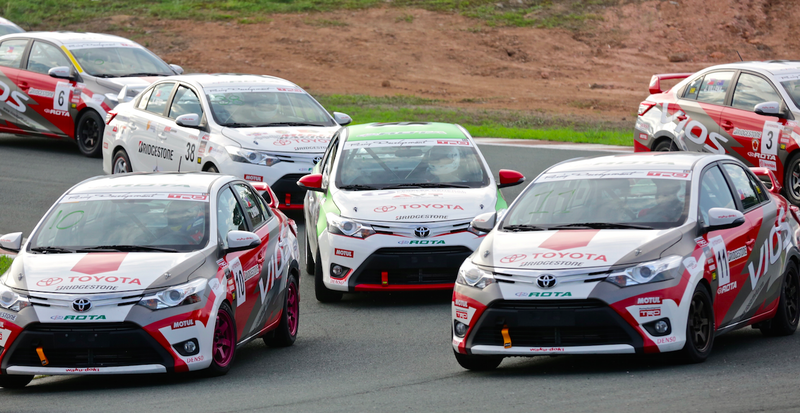 Toyota, the world’s top-selling automaker (they sold an estimated 10.23 million vehicles last year), is bringing the Vios Cup outside of Luzon. Consider ourselves lucky. Cebu doesn’t own a race track like the Clark International Speedway — but we have the South Road Properties. And all the racing this weekend will converge at the SRP. The Qualifying Rounds took place yesterday. Today, the main event happens. As early as 7 a.m., the participants are expected to arrive at the SRP. Between 8 to 9 a.m. today, they’ll rev their engines, check their tires and perform some warm-up circles. The Opening Program commences at 11 and, by 12 noon, the race proper begins. The Vios Cup offers two categories: the Sporting Class and the Promotional Class. The Sporting Class riders are composed of the top tier of racers; the Promotional Class involves the celebrities and those who did not make the cuf-off in the Sporting Class. You want to see celebrities? Derek Ramsey is joining. There’s also a DK Drift Exhibition by Japanese expert Keiichi Tsuchiya. If you watched Tokyo Drift (the Fast and Furious movie), you’ll watch the real performance today, slated around 12:45 p.m. But more than the celebrities, the ones to look for are our homegrown Cebuano participants. Jette Calderon, the famous go-kart champion from Cebu, is joining. He’s bannering the “Toyota Cebu Mandaue South” team. The others from Cebu include Lord Seno, Sean Velasco, Harold Ong and Oscar Suarez. Another Cebuano is Daniel Miranda. Although he now lives in Manila, he was a long-time Cebuano resident. We’ve known Daniel — the son of Martin and Angie Miranda — as a go-kart champion; he’s one of the top riders to watch this weekend. The CDN article continues: “‘Getting the right set-up and to be consistent with driving,’ said Miranda on what he thinks will be the significant keys to taking home the crown this weekend… The youngster also believes that the valuable experience he gained in karting will serve him well in the one-make race that features Toyota’s most salable vehicle, the Vios. I repeat: The Vios Cup is the first of its kind ever in Cebu. Thanks to Toyota (and with the help of Meyrick and Perl Jacalan of ASAP Advertising), we’ll all be witnesses to this road race. Admission is free. The race proper runs from 12 noon to 5 p.m. When will Cebu host the Palaro again? 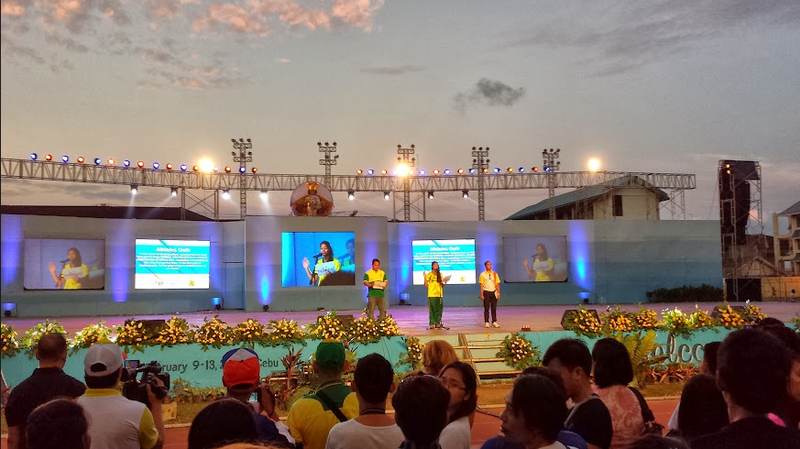 It’s been two decades and one year since Cebu City last hosted the Palarong Pambansa. The nation’s premier sports meet that gathers the top elementary and high school athletes under one tournament, the Palaro was last hosted by Cebu 21 summers ago. Joy Augustus Young was the architect of the 1994 Palaro. Here’s an article I wrote entitled, “Young and restless, his comeback brings joy.” This was dated March 2009. “The most significant contribution of Joy Young? It happened 15 Aprils ago. Cities like Bacolod (which had the backing of Monico Puentevella), Dumaguete (with the support of now-Governor Emilio Macias II) and several more submitted bids to host the 1994 Palarong Pambansa. As we Cebuanos very well know today—with the all-out support of Mayor Tommy Osmeña and Congressman Raul del Mar (who even helped in the presentation to convince the Palaro decision-makers)—we organized the Palaro, the only time in history that we hosted RP’s largest annual sporting event. “Joy Young, backed by Mayor Tom, was Cebu City’s team captain. He was our Pat Riley and Phil Jackson. He presided over the meetings. He assigned the venues. He organized the marketing. Planned the billeting of athletes. Studied the events. I should know. Together with my dad Bunny, we ran the tennis event at the now-defunct Cebu Tennis Club where the Cebuanos (led by Jun-Jun Cabrera) emerged champions. Joy Young considers the Palaro as “the proudest moment for all of us in Cebu.” That 1994 hosting achieved many firsts. It was the first Palaro in the country to be professionally-managed by a marketing team. “After our Palaro, all the succeeding Palaros had sponsors,” Joy said, “though they couldn’t do it the same way we did it.” The previous Palaro hostings relied on the host cities to spend their own government funds. 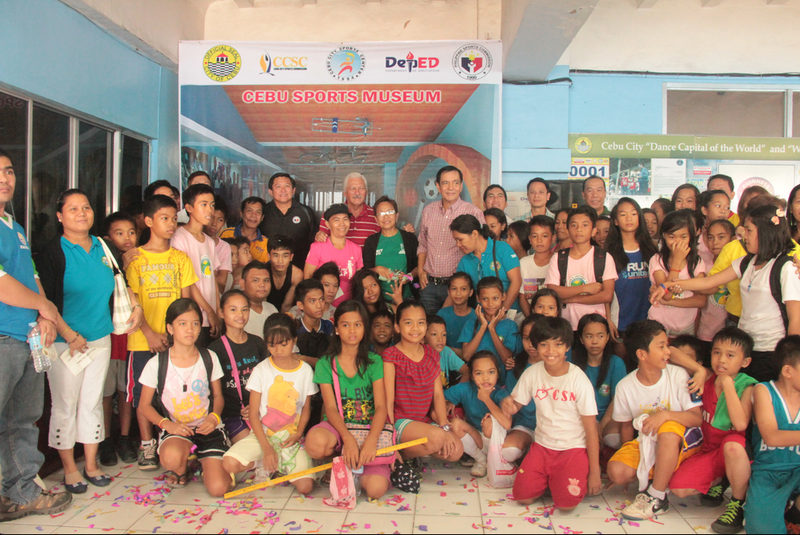 In Cebu, led by the business-minded Young, we involved the private sector. Well done, Joy. Now, the question: When will Cebu do a repeat? Isn’t it embarrassing that a land as illustrious as ours hasn’t hosted again? 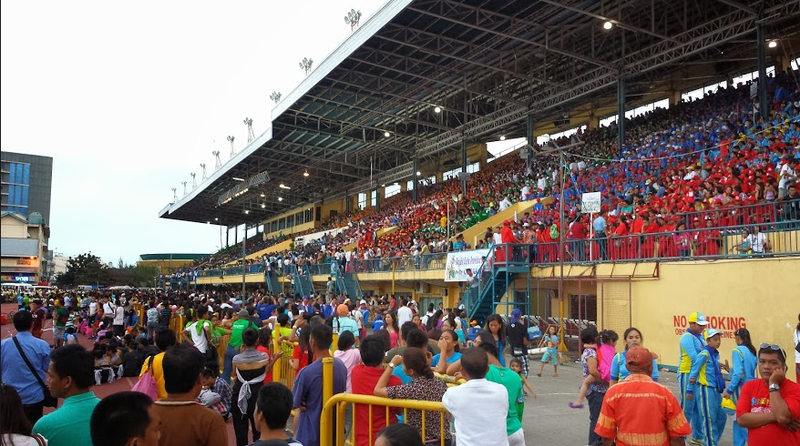 This May 3 to 9, Tagum City will host the Palaro. Next year, it’s Luzon turn. But for 2017 when the Visayas hosts, I propose we bring the Palaro back to Cebu. When I look back at the past 25 years, few people have accomplished more for Cebu sports than Joy Augustus Young. By surprise, I sent him a text message and email last Thursday. “I continue to follow sports… our City Olympics, the regional meets, the Palaro, as well as the Milo Olympics, which I started, the first outside Manila. This year, Milo will be held in Iloilo. At the start, Milo planned to rotate the hosting around Visayas and Mindanao. But we did such a good job that they have never rotated it despite many requests from other places… until this year. Oh well, it was good while it lasted. “Cebu sports? Well, as they say, we have come a long way! As head of sports in the city back in 1988 onwards, the gripe of most sports aficionados was the lack of a sports center. After some research, I found out that in most, if not all, of the places which put up a sports center, their sports activities always increased and improved. This was especially so in places which hosted the Palaro. Because of that I decided to focus on winning the bid to host the Palaro, and I wanted it soonest. “John, you being in sports, imagine Cebu without the Sports Center? What would we be? Same as all the other places in the Phils which do not have a sports center. 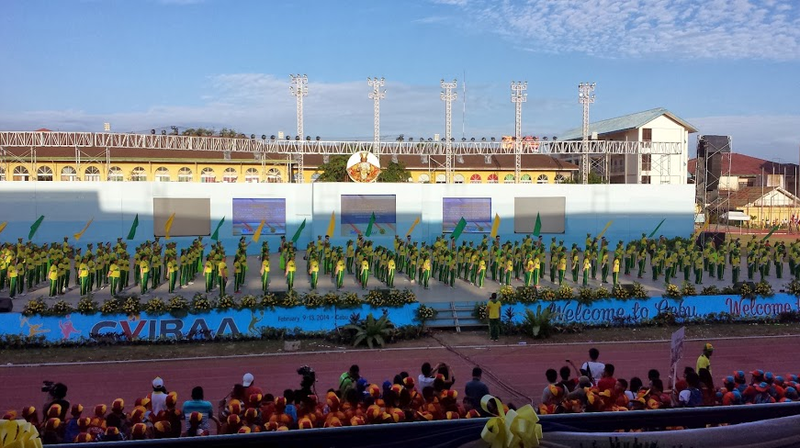 Our activities and performances grew by leaps and bounds after the Palaro. Period. “You have to imagine what Cebu was like during my term. Not only did we not have the facilities but we didn’t have that much money and we also lacked the talent. We had never hosted anything sizable or of any significance. That was my inspiration but it was also the problem. “We had to raise funds and companies were slow to follow because they had never seen anybody organize such activities. Sponsoring sports activities was not common then. “Imagine the old Cebu without the center and the sports activities? These have broadened our horizon with regards to life. We would still be a sleepy old city. Mingaw jud kaayo ta. Take, for example, how football has developed. It used to be a sleepy sport that NOBODY watched. Now, look at football. “My greatest achievement, apart from the sports center construction, is the commercialization and professionalizing of the promotion of sports. Think about it, without all those sponsors, were would we be today in sports? Mingaw kaayo unta – walay sponsor like Thirsty..
“It is nice to reminisce sometimes, although I don’t do much of that now. I miss our friends, the people who were there and helped us. We all enjoyed so much working together to make things work even if it was the first time and we had no idea how to go about it. We just went ahead and worked on them; that’s what made it all so much fun. Thanks to Bidoy, thanks to you John, thanks to all the people who were there..
Can we rename the “SRP” to “Sports & Recreational Park?” Why not? The South Road Properties is 330-hectares large that’s intended for commercial, industrial, tourism and recreational pursuits — and why not include sports in the equation? Michael Lopez Rama called me late last week and we had a spirited discussion on the SRP. A lifelong athlete who dabbled into basketball and who continues to shoot 3-pointers like Stephen Curry, the Cebu City mayor is pro-sports. You can ask Ed Hayco about this. You will even see him running (not just for public office) on the road. With the proposal of Cebu City Councilors Mary Ann de los Santos, Jun Gabuya and Hanz Abella to allocate huge tracts of land for sports — the mayor is not opposed to that. He welcomes it. In fact, since he took office, he has been suggesting this to the community. The questions are: How big will the space be for sports? Who will fund it? Where at the SRP will it be? Can a viable transport system be planned to include the influx of athletes and spectators — granted Cebu hosts major athletic events? To me, this lot should not house the Indoor Sports Arena. If this were government-initiated, it would be too costly. It has to be private sector-led. The best group? SM. I’ve been inside the MOA Arena in Manila and it’s a structure to be proud of. I hope Marissa Fernan can help convince Hans Sy to build this. To house NBA exhibition games, Taylor Swift concerts and more, this will be the go-to Vis-Min coliseum (to replace the derelict Cebu Coliseum). The open air SRP Sports Park — the mayor is eyeing an initial three to five hectares — can be a wide expanse littered with football fields, a track oval, tennis rectangles, a baseball diamond, archery fields, multi-purpose courts and more. The most powerful man in Cebu City did the most unexpected of acts last Sunday. He shared his cellphone number. Not to one or five or nine guests – but to over 6,000 people! That wasn’t the only surprise of the night. For our Region 7 neighbors, they were treated to a spectacular welcome that only Ricky Ballesteros can concoct. Five of the top winners of the recent Sinulog competition performed. To us seated at the VIP Section, it was a spectacle watching four schools (Banilad Elem., Apas, Don Sergio Osmeña Sr. and Abellana) and the grand champion, Lumad Basakanon. With perfect weather and a slightly cool breeze that danced inside the complex, everybody was in awe. It started with a parade at 3 p.m. Just like the Olympics, the various contingents walked from Fuente Osmeña towards the CCSC. The students – elementary and high school athletes – circled the oval. Each delegation wore their unique colors. As they stood on the giant stage, they faced the audience then performed a short chant. Take Carcar City. Theirs was “Pao… pao.. pao!” It was a shortcut for “ampao,” the famous rice cake of Carcar. Negros Oriental Governor Roel Degamo walked with his delegation. He was there with DepEd chief Dr. Sal Jimenez. 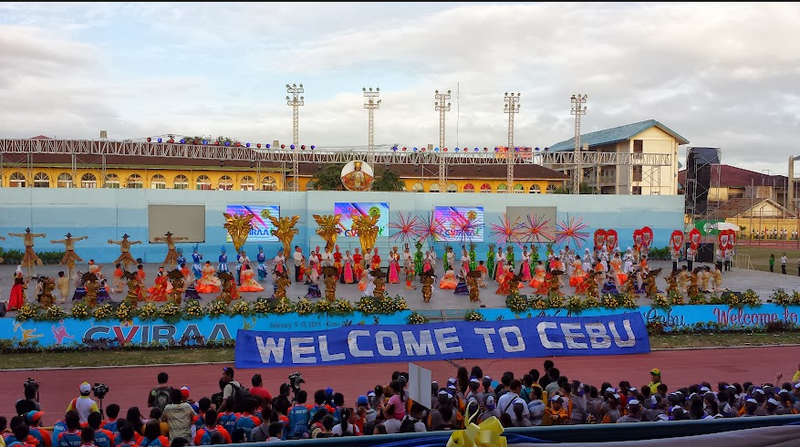 As hosts last year (including hosting the 2013 Palarong Pambansa), it was their duty to formally turn-over the event to Cebu City. Mayor Rama walked with his athletes. Dressed in the full gear of the CEBU CITY NINOS – yellow and green shirt, jogging pants and cap – he also wore a bright neon orange hi-cut Nike basketball shoes. With a whistle hanging on his neck, he often pulled it upfront and whistled the Sinulog beat. Vice Mayor Edgar Labella also wore the full attire. CCSC Chairman Edward Hayco led Team Cebu City. The CVIRAA is one of the biggest grassroots sporting events of our region. It encompasses every major sport. All municipalities and cities are represented. Led by the Dept. of Education (DepEd), all 19 divisions are represented. More than 10,000 athletes are in Cebu City this whole week to compete. DepEd Cebu City Division Schools Division Superintendent Dr. Rhea Mar Angtud gave a beautiful speech saying that, despite the twin destructions of the typhoon and the earthquake, these won’t stop us from gathering and competing. Physical Education and School Sports (PESS)-7 chief Vivian Ginete had an important role: she introduced every delegation, including their heads and top officials. Finally, top DepEd official (Director III) Dr. Carmelita Dulangon rendered a message without any notes. She was very inspiring, speaking from the heart. Among the athletes, our home’s 15-year-old tennis champ, Jana Pages, was chosen to lead the Oath of Sportsmanship. Then, another spectacle – the lighting of the torch, led by volleyball star Ulyross Lopez. Patterned after the Barcelona Olympics, two lighted sticks zoomed from the front to light the cauldron. It’s about time! he replied. The Palaro, next? I asked. Visayas is hosting in 2016… and the last time we hosted was in 1994 – or 20 years ago. He answered, like he often does, with a smile. I’d take that as a Yes. To all visitors and balikbayans, maayong pag-abot sa Cebu! Welcome to the Land of Sports. In our city and province, sports is a major influence. Through the years, Cebu has played hosts to some of the biggest events of our nation. Davis Cup tennis. Antonio L. Aldeguer (ALA) Promotions boxing. Ironman triathlon. Dancesport championships. 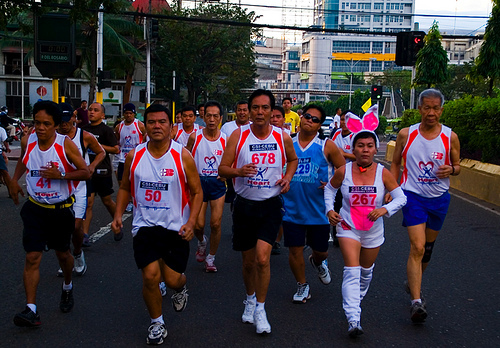 The Cebu Marathon. Kopiko motorcross racing. Philippine Azkals exhibition games. The Xterra offroad mountainbike experience. A Guinness world record in Chess. Name the sport, Cebu offers it. Our island is ideal for sports because of several reasons. First, the central location. If you’re looking for a venue that’s the midway point for those flying from Manila and those coming from Cagayan de Oro or Davao — then this province is perfect. Because of it’s location, Cebu is also home to some of the country’s biggest universities. These schools have invited and developed thousands of top-caliber athletes. To name two Cebuano giants of the PBA, we have Greg Slaughter and June Mar Fajardo. Two, the excellent partnership between the private and public sectors. 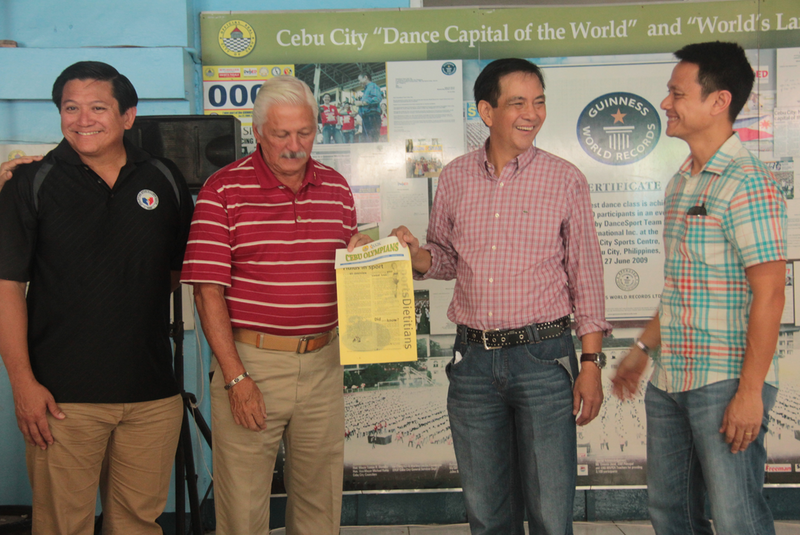 Last year, Cebu had the rare privilege of hosting three Davis Cup tennis ties. Our Philippines battled Syria, Thailand and New Zealand. Thanks to the partnership of Plantation Bay Resort and Spa, the Phil. 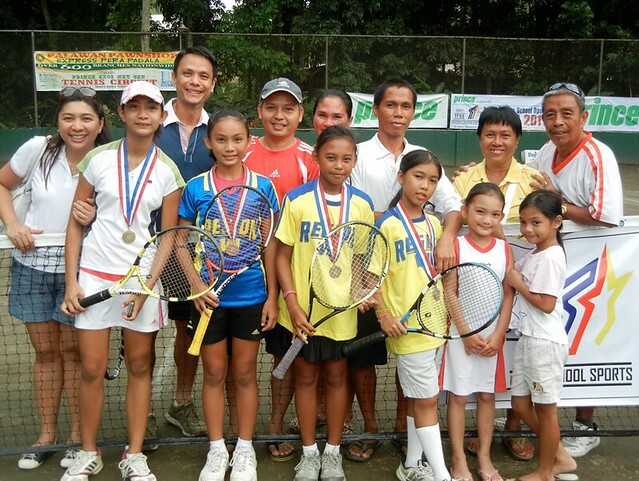 Tennis Association (Philta) and the Lapu-Lapu City govt., these triple major events were possible. This doubles tandem (private + govt.) is ideal in sports development because, quite often, one sector can’t handle everything. Cebu is one example of this amazing partnership. Three, the selfless and passionate sports movers. Take Edward Hayco. He’s the chairman of the Cebu City Sports Commission. 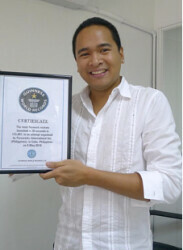 Because of his devotion to sports, the name “Cebu City” is imprinted in the annals of the Guinness World Records. We’re proud to own two world records: the largest dance class and the biggest chess tournament. (Soon, there’ll be a third in Archery.) Ed Hayco’s passion to help — at zero cost to the city but millions poured from his pocket — is called volunteerism. Four, Cebu is a sports-hungry crowd. Take ALA Boxing. Almost every other month, a mega-promotion is held inside the Waterfront Cebu ballroom. Filled to the rafters, devoted boxing fans scream and cheer for the courageous pugilists. Cebuanos love sports. Always have, always will. The large crowds in boxing events is a testament to this. That’s why we’re home to three world champions: Donnie Nietes, Johnriel Casimero and Merlito Sabillo. Even Manny Pacquiao frequents Cebu — and trained here in 2007 prior to defeating Marco Antonio Barrera. In basketball, the CESAFI — our version of the UAAP and NCAA — draws a huge following. The recent rivalry between UV and SWU has elicited major crowds. Five, Cebuanos love is running. In the past six or so years, thousands of previously sedentary, no-exercise individuals have become runners. A few hundred of them have turned marathoners. This is excellent! Running is the easiest of exercises to do. Just tie a pair of rubber shoes, wear shorts (or even Levi’s jeans).. then off you go. These days, hardly a Sunday passes when there’s no road-racing event. Seven days ago, a few thousand runners braved the 21K and 42K distances in the Cebu Marathon. Six, the brand “Cebu” elicits a positive image. Let’s talk about the Ironman. For the first three years, it was held in Camarines Sur. Fine. It drew plenty of participants. But this number was nowhere compared to the volume of triathletes who trooped to Shangri-La’s Mactan Island Resort to join the Cebu editions. The brand “Cebu” is thought of by foreigners as positive because of our many advantages: the nearby white-sand beaches, the friendly and eager crowds. These draw sports-goers to Cebu. Apart from the Ironman, there are multiple triathlons that will grow bigger each year. One notable event is the Tabuelan 111. Again, welcome to Cebu. Pit Señor! Wearing one’s black leather shoes while hiking the track oval of the Cebu City Sports Center is disallowed. So is strolling along the maroon-colored rubberized surface wearing long pants. Worse, if you wear long-sleeves — even if the brand is Lacoste — that’s unacceptable attire to be worn while circling the Abellana oval. One man did that two Sundays ago. And, no, he wasn’t reprimanded or asked to change to sleeveless running wear. In fact, right beside him was the Sports Center manager, Ricky Ballesteros. How was this possible? Because that man was our city’s chief executive officer. And he was walking the entire circle not to exercise or sweat but to give instructions on the upliftment of the CCSC. Mayor Mike Rama, two weekends ago, was inside our sports complex together with our nation’s top sports leaders: PSC Chairman Richie Garcia and PSC Commissioner Jolly Gomez. Part of the group was Edward Hayco, the “Guinness World Record” man who is our city’s sports honcho. After the formal turn-over of the gymnastics equipment from the PSC to the CCSC and after speeches were delivered by Garcia, Rama and Hayco, that’s when we stepped out to the track oval. The Cebu Sports Museum is one of the major projects of our city’s sports commission. As the past president of the Sportswriters Association of Cebu (SAC), now headed by Rico Navarro, I volunteered to help develop the museum. Mayor Mike gave us tips. One of the most passionate and energetic of men that you can find — always on-the-go, forever smiling and chatting, endlessly hopping from one project to another — Michael Rama was his usual charismatic self when he talked to Ed Hayco, Ricky Ballesteros, Dondon Sombrio (our bemedalled archer and architect of the museum), volleyball’s Eric Licain, and myself. “Let’s call it ‘Walk and Run with the Sports Heroes,’” said the mayor. Originally, we wanted the sports museum to be confined inside the building complex. Why don’t we include the outside, the oval, the entire complex? the mayor suggested. Excellent point. With thousands of joggers and people who exercise around the track oval, why not let them be witnesses to the museum? Like Hong Kong’s Walk of Fame boardwalk where, along the breathtaking view beside the water, you walk amidst heroic men and women who’ve made Hong Kong popular, we can do something similar in Cebu — for sports. Brilliant. Under the 11 a.m. morning heat — when Mr. Sun’s rays beamed brightly upon us — and with Rama wearing a red-striped Lacoste, he toured us not on a halfway walk of the 400-meter oval — but the entire turn, pointing at a possible idea there, excitedly and animatedly expressing his views at another spot there. Along the way, he shook hands with athletes. We spotted the UC football team (my UP classmate Tirso Roa, who helps the squad, was there). About to play next on the soccer field, Mayor Mike shook hands with them. Then, he did another unexpected act: with long-sleeves shirt and cowboy-style jeans, he borrowed a football and dribbled it. He did a cross-dribble that delighted the UC players. They clapped. In our entire tour, one word described the experience: Passion. This man has it. Finally, as we reached the exit and as his white Toyota Hi-Ace with the “MAYOR” plate number was waiting, we chatted for a few final moments. Ed Hayco, applauded repeatedly by Mayor Mike (the day before was the Dancesport Championship at the Waterfront Hotel), ended our talk with these words: “Mayor, your passion comes from here,” said Ed, pointing to the heart. I have listened to Michael Lopez Rama render an oration many, many times before. Often, our Cebu City mayor is accused of speaking too long; enunciating words that curve and twist and stretch longer than desired. Not seven days ago. We were inside the Cebu City Sports Center. It was a multi-ceremony occasion: Cebu’s Olympians, CCSC’s quarterly newsletter, was being launched by the indefatigable Ed Hayco. So was the Monthly Relay event. Gymnastics equipment were turned-over. 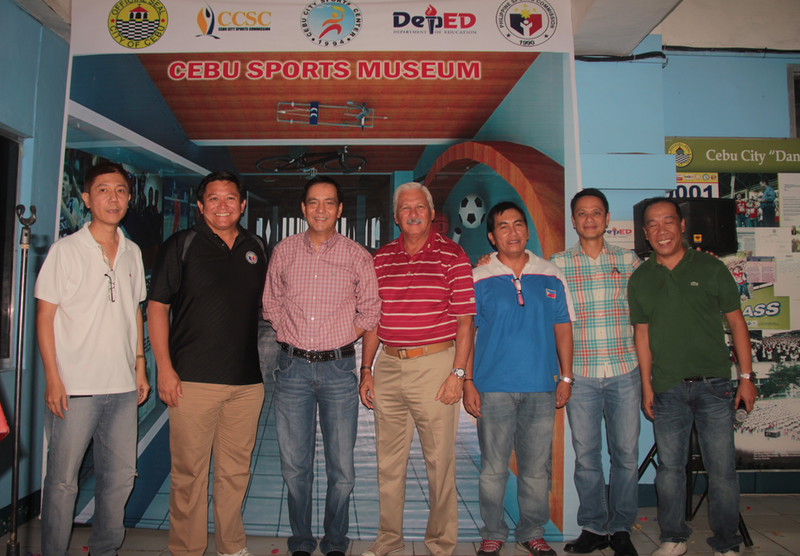 The Cebu Sports Museum was being presented. In attendance last Sunday morning were the country’s top sports leaders: Phil. 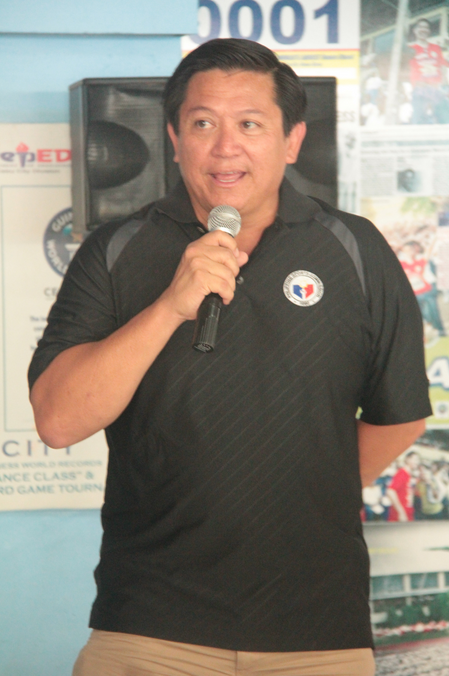 Sports Commission (PSC) Chairman Richie Garcia. PSC Commissioner Jolly Gomez. 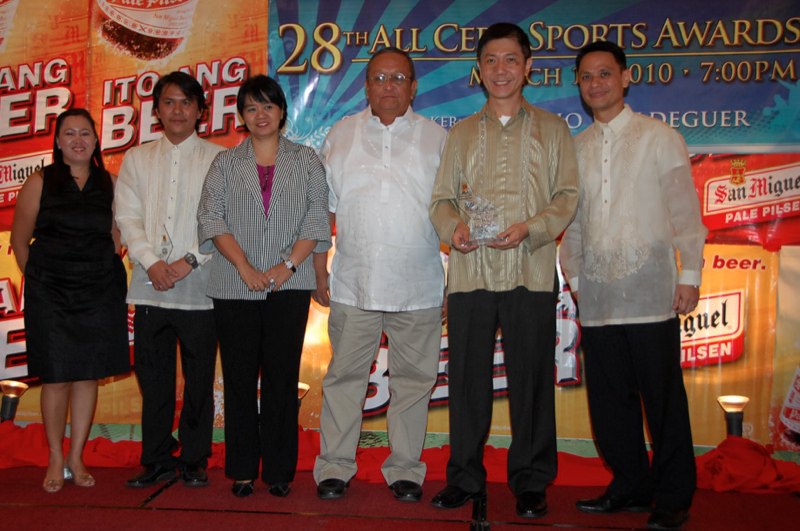 Our own chieftain, Cebu City Sports Commission (CCSC) Chairman Edward Hayco. Ricky Ballesteros, who heads the Sports Center and our numerous sporting events, including today’s Milo Half-Marathon. Volleyball supporter Eric Licain and archery legend Dondon Sombrio. RICHIE GARCIA. The PSC chairman spoke first. “I was born and raised in Bacolod City but I’ve always loved coming to Cebu,” said Mr. Garcia, a dapper mestizo with golden white hair and an even more golden score in golf (4-handicap). Garcia has numerous friends in Cebu, including his golfmate Montito Garcia. “We donated a full container of gymnastics equipment,” said the PSC top honcho. 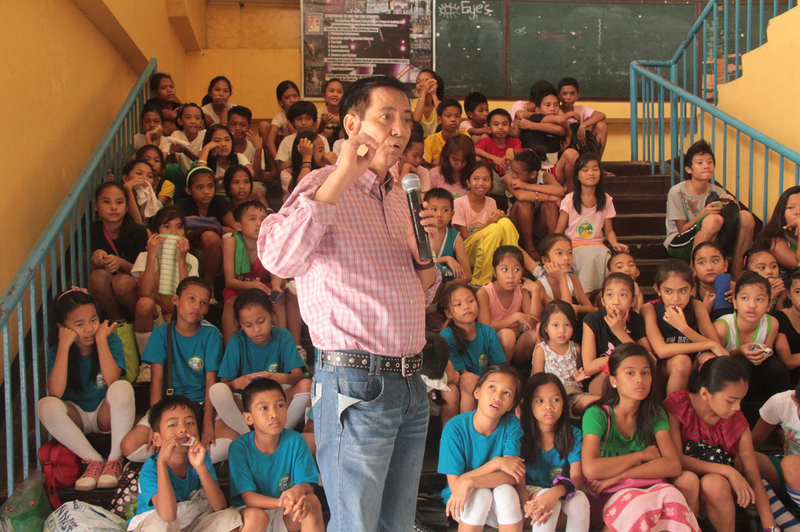 “Next, we will send a boxing ring.” Speaking to the dozens of children who sat and listened, he said that Cebu is lucky to have a sports leader like Ed Hayco. Richie Garcia mentioned that he’s been appointed to the PSC a record three presidents. First, with Pres. Erap. Next, with GMA. And now, as chairperson, with P-Noy. Why? he asked. Because he’s not a political person. He strays away from politics at all costs. “Politics should have no place in sports,” he said. MAYOR’S TALK. Mike Rama gave the inspirational speech. As I said, I’ve heard him give a homily plenty of times in the past — and this was the best impromptu, from-the-heart speech I’ve heard him deliver. “Hi!” he started. “Hello,” the children answered. “Hello,” he countered. “Hi,” the children echoed. Instead of standing in front of us — the adults — he walked towards the children, who sat by rows on the staircase. He stood with them. Yes, he was speaking to the sports leaders but, more importantly — and instinctively — this inspirational speech was intended to inspire one audience: the boys and girls. Yes, we know our mayor to be a singer, but this time, he voiced-out the words — not singing Whitney Houston’s “Greatest Love of All” — weaving the words perfectly into his speech. “Give them a sense of pride,” he told us, looking and smiling at the children. Sports = Pride. The mayor made perfect sense. Those words made sense. He spoke to the teachers who joined us. He spoke to the leaders. He spoke in behalf of the children. Sports give pride to our children. Gold medals, the mayor added, are important; but what’s even more important is what the children learn from and through sports. Being fair. Accepting defeat. Sportsmanship. Sport is more than physical development. It’s about developing the whole person. It’s when we develop individuals while they’re still young — the children — that we help mold them for life, said our impassioned leader. Each time I give him a call to ask if he can join a 5,000-meter run along the streets of the city that he manages, he never says no. Running for public office. Running for exercise. These two types of runs he cherishes. Mayor Michael Lopez Rama — had he not been a life-long public servant — would have opted to become a career basketball shooter. He’d rather be wearing high-cut basketball shoes than his trademark leather boots. The long-sleeves polo shirt wrapped with coat jacket? Sure, he has to wear this attire when he meets VIPs. But, I’m sure, he’d exchange this quickly for long, baggy basketball shorts and a sleeveless jersey. Several years ago upon the initiation of soon-to-be Provincial Board Member Raul “Yayoy” Alcoseba, we played basketball. It was at our family’s school gymnasium at Bright Academy in Banilad. I don’t remember the outcome — it doesn’t matter. What matters is that, for two hours, we passed and rebounded and flicked spinning lay-ups. And, if you’ve played basketball with him, you know Mike Rama’s strength: the outside jumper. He converted on several long-range missiles. That’s basketball. With running, he enjoys the exercise that we (and incoming Vice Mayor Edgar Labella) all enjoy — jogging, sprinting, lifting one leg after another. In each of the past Cebu Marathon events, he’s there. At 4:30 A.M., when everybody’s still snoring, he’s at the Cebu I.T. Park, stretching and bouncing his long legs, ready for the sweat. Last January was extra fun. We all know that “Gangnam Style” was the hottest dance song. When Annie Neric, our co-organizer/emcee, started dancing, guess who gamely joined her at the starting line during the warm-up? Mr. Mayor, of course. Mike Rama danced Gangnam. He then wished the runners good luck. Next, off he ran… step by step, without stop, the five kilometer distance beside his son Mikel. CITY HALL. Last Tuesday, I had the privilege of being inside his cavernous office inside the Cebu City Hall. Thanks to the invitation of Edward Hayco, our tireless chairman of the Cebu City Sports Commission, the city mayor was surrounded by over 50 sports personalities. It was a courtesy call by Ed Hayco and he brought along some of Cebu’s top athletes: dancesports gold medalists (with Eleanor Hayco), karatedo champions, archers (led by Dondon Sombrio), sports commissioners like Nimrod Quiñones, Ryan Aznar, Brian Lim, Bernard Ricablanca, volleyball’s Eric Licain, and CCSC’s executive director Brando Velasquez. Looking refreshed after taking a couple of weeks’ vacation after that extra grueling campaign period, Mayor Mike was relaxed. To the many young athletes listening to his every word, he imparted numerous lessons in life. After his inspirational words, everybody joined him for the picture-taking. Presented a gift by Ed Hayco, he took off his formal jacket and wore the sports shirt. Then, after being given a bow from the archers, he placed it alongside his personal photos — showing everyone how much he loves sports. “To whom much is given, much is expected.” Our mayor is a lifelong sportsman. We expect nothing less than the best era in sports from Mike Rama. FR. VIC UY. When I spoke to him yesterday morning, he sounded buoyant and enthusiastic. Fr. Vic Uy, SVD, is a familiar name and face to Cebuanos. For many years prior to his transfer to Bohol, he was a senior official of the University of San Carlos. He also headed the local chapter of the Phil. Sports Commission. Today, Fr. Vic is the national president of the PRISAA. And, today, the national PRISAA Games unfold right here in Cebu City. An estimated 6,000 athletes and officials were expected to arrive this weekend. Unfortunately, some teams backed out—including the strongest contingent, from the NCR. “They could not decide which teams to send… the UAAP or the NCAA champions. Sayang that NCR couldn’t join us,” said Fr. Vic. But with or without Manila, the Cebu games continue. Back to the CCSC track oval—isn’t the reopening a perfect timing this weekend? Who worked hardest for this latest repair? We give credit where credit is due: Vice Mayor Joy Augustus Young. It was he, back in 1994 and heading the city’s Committee on Sports, who pushed for the construction of CCSC. Fast forward to two years ago, after Joy assumed his position as the city’s No. 2, he convened a team to deliberate on the reconstruction. Together with Ricky Ballesteros, Dr. Danny Villadolid, Nimrod Quiñones and a few others, I was part of the Technical Working Group (TWG) team tasked to study the various options and bidders. VM Joy spearheaded our weekly meetings. We scrutinized the various presentations. We deliberated on the cons and pros of each surface. Finally…. it’s done. Yesterday, I also called Ricky Ballesteros, the manager of our CCSC, and, like Fr. Vic, he was upbeat and excited. Ricky is used to working under intense, maximum pressure. As the head of the Sinulog festivities, each January, he is subjected to excessive tension and stress. Like the CCSC reopening, they finished it right on schedule. Today is a proud day for Cebu sports. We have finished overlaying the final red rubber last Saturday. Markings started yesterday and will take 3-4 days… Blessing will be on April 22 at 3:30 pm before the opening parade of the national Prisaa… The good thing with the rubber now is that we don’t have to wait for 2 weeks for the curing period. We can use the track the day after we put the rubber; drying only takes 5 minutes. We are now on the finishing touches; fencing and putting of a wider gate… We also transferred the triple long jump to the D section; we have a wider cemented area for volleyball, sepak takraw, martial arts practices… The football field is under rehabilitation, greening will take another 3-6 months. Cost of rubber track including civil works is P26M; previous track was only 13mm, the new rubber is 15mm thick.. Football field, civil works (fencing and cementing) P7M… After Prisaa, the track will be open to the public except the football field. Ambitious. Visionary. Sensational. These are the words to describe Mr. Hayco. And, as grandiose as his dreams are, he’s able to fulfill them. Look at Dancesport. Ed promised a “Largest Dance Class In The World.” He delivered in 2009. This weekend, he promises the “Largest Chess Tournament,” easily outnumbering the 1,214 of Russia. He delivers with 43,157 participants. Also, Cebu is the world-record holder in “Most Fireworks Launched in Less Than a Minute” (thanks to Brian Lim of Pyroworks, that’s 125,801 firework rockets). Yesterday, I watched the Opening Ceremony at 1:30 P.M. A total of 1,500 pairs of students sat across each other with chessboards in between. They filled the entire Abellana grandstand. A six-year-old Grade 1 student read the Oath. Rening Ylaya, aged 76, joined to face a high-schooler. The highlight? The dance presentation on a giant eight-by-eight grid chessboard. From the left entered the “live” chess pieces dressed in formal, Medieval attire. They were the 16 black pieces. From the right emerged the Sinulog-dressed tribal human pieces. Move after move, dance after dance, they battled on the same stage as last Sunday’s Sinulog. In the end, our own indigenous pieces won. What a show! Pit Señor! To all balikbayans and guests visiting our beloved and historic Sugbu… maayong pag-abot… welcome! Cebu City is not only known for hosting the country’s biggest festival—the Sinulog—that dances off the streets this weekend. Cebu City is not only home to the nation’s oldest avenue: Colon Street. It not only boasts of such iconic landmarks as the Fuente Osmeña, the Magellan’s Cross and the newly-renovated Plaza Independencia. 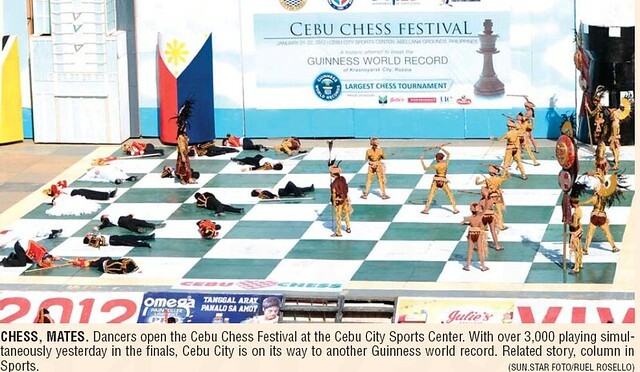 Cebu is the World Record City. In sports, we own the title of the world’s largest-ever dance group. 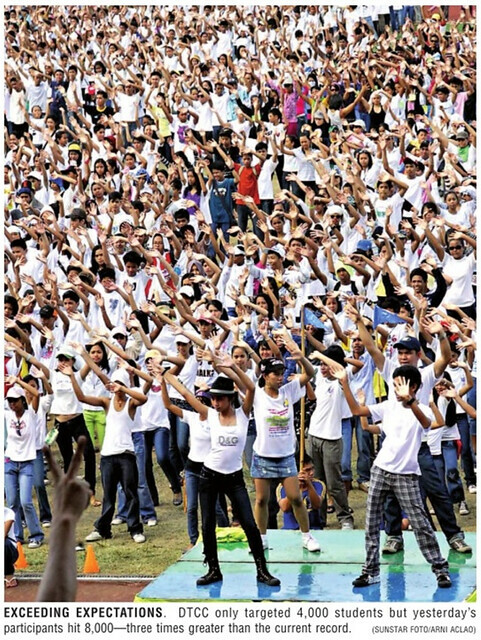 Back in June 2009, a total of 7,770 dancers congregated inside the Cebu City Sports Center to boogie, waltz, do the samba and swing, to twist and turn. Later this week—on Jan. 21 and 22—another Guinness World Record will be added to our resume; only this time, it’s the sweat-less but mind-exercising game played on a checkered board with 64 squares. 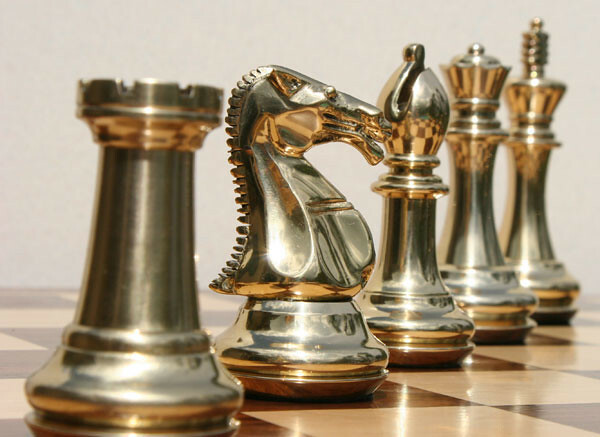 Would you believe, a record 40,000 players will play chess. Yes, no misprint there: Forty thousand! Thanks to chess patron Boogie Lim and several other chess aficionados, Ed and his CCSC team felt passionate about this sport of Garry Kasparov and Bobby Fischer. But Ed had a problem. The world record, owned by Russia, said that they had 1,240 participants. After the chess tutorials, the students joined tournaments. It was limited to within their classrooms. Then, it was elevated to the whole school. Next, it’s the record attempt. The date “January 8, 2012” is near. That’s the Sunday when thousands of runners — from all over the globe, including dozens and dozens of foreign visitors, some Kenyans and Ethiopians — will be participating in the all-awaited CCM. Today, after over two months since the registration doors have opened, the booth at the Active Zone of Ayala Center Cebu will open for the last time. Today, December 15th, is the last day for registration. Hurry! In the same way that you hurry to the finish line, you’ve got to make sure to join this once-every-365-days event. The Cebu Marathon — jointly organized by the Cebu City government, ASAP Advertising, and the Cebu Executive Runners Club (CERC) — promises to be one of the most festive marathons in Cebu and our entire Philippine archipelago. 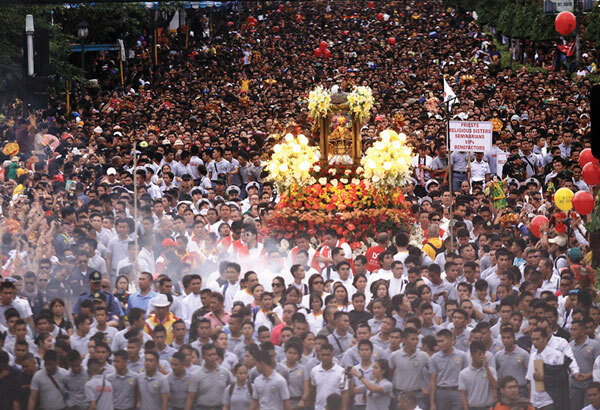 Timed exactly seven days prior to Sinulog, you run not alone but amidst a sea of Pit Señor paraphernalia: buntings flying above your head, drum beats deafening your ears, the images of the Señor Sto. Niño crowding the streets of Sugbo. The Cebu Marathon is the Sinulog Marathon. It’s our very own. Plenty of freebies await the participants. For the brave 42K runners, a Suarez-made finisher’s medal with three mangoes will be laced around your neck once you reach the finish line. Why three mangoes? Because mangoes, obviously, are Cebu’s native and most popular fruit; and three mangoes because this is the third 42K CCM. “This will be the last of the mango-medal series,” says race organizer Meyrick “Jacs” Jacalan, who personally designed the popular medals. Next year? The lechon medal? The otap design? Let’s see. But, for next month, it will be three mangoes. All participants — 5K, 21K and 42K — will receive a New Balance sleeveless singlet. These can all be claimed during the Race Expo from January 4 to 6. As bonus to the 21K and 42K participants, all who cross the finish line will be get Finishers Shirts. All for free. With the 5K run, this will have a brand-new route for 2012. Instead of the JY Square to UP Lahug route, thousands of runners will turn left from the Cebu I.T. Park then proceed to the Cebu Business Park. 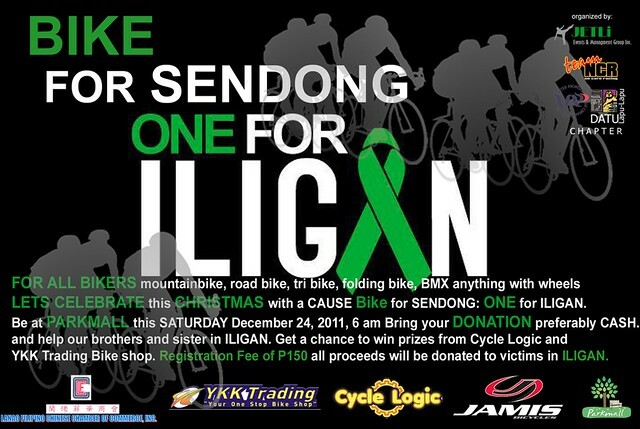 From there, they’ll run up Parklane Hotel, climb up Escario St., turn right towards Lahug then back to the Cebu I.T. Park. Register today! 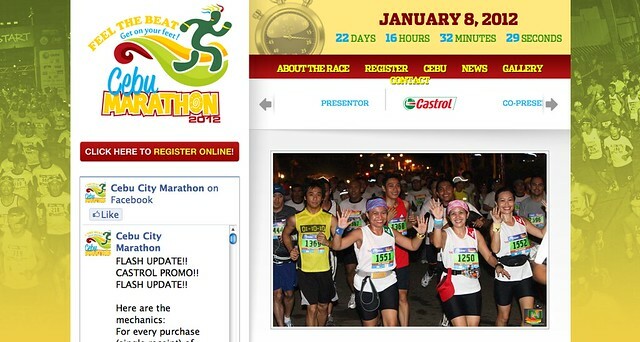 To all those who have already enlisted themselves, visit the website, www.cebumarathon.com. Check if your name is officially on the list. It’s also a good opportunity to be reminded of the activities leading to the Sunday big event. On January 6 — that’s two nights before — it’s the Pre-Race or Carbo-Loading Party. This will be held at the same sprawling and refreshing venue as the past two years: The Terraces of Ayala Center Cebu. Speakers will provide last-minute tips. A band will perform. Final instructions will be explained. It’s also that all-exciting 36 hours prior to race day when fellow runners will converge to talk and swap stories. From my own experience, having joined three 42K races (Hong Kong, Singapore and Quezon City), few moments in life are as bone-tingling and heart-pumping as the 48 hours leading to the race. You eat pasta. You relax your legs. You quiver with a mixture of anxiety and excitement. You prepare your gear. Your shoes are sleeping, ready for the 40,000 steps on the asphalt and cement roads. To all who have registered… Godspeed. To all who have yet to enlist… hurry! The best way to travel when visiting a new city is not via bus, MRT, or taxi. It’s not even while riding on a chauffeur-driven E-class Mercedes Benz. It’s by foot. I did that last Friday. Starting at 7 in the morning, I stepped outside our hotel and was greeted by the Singapore sunshine. I walked, stretched, jogged towards the Singapore Recreation Club, just 300 meters away, where green fields awaited. Football rectangles, covered with pristine grass, smiled. Then, I saw a sight that sparkled: Grass courts. Yes. The same ones you’ll see tonight on Star Sports. The club is exclusive and I did not carry my Babolat gear—so no chance to swing a volley. But the sight was more enticing than any 70-percent-off store in the Singapore Sale. In Singapore, running is the most popular recreational sport. At their annual Marathon held every first Sunday of December, 50,000 join. Last Friday, I saw snippets of that as dozens exercised, planting one rubber shoe in front of another. The best part of running Singapore? The Marina Bay. 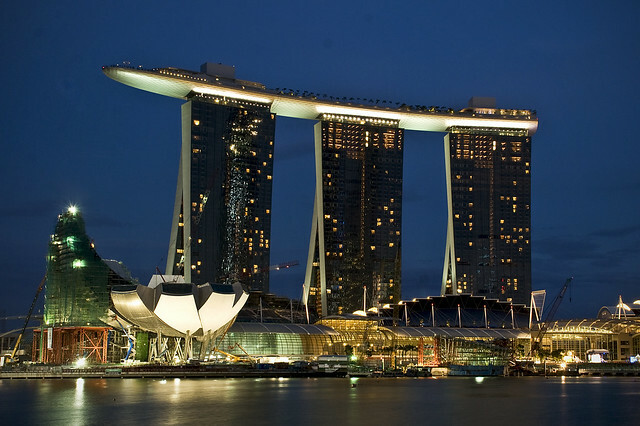 You’ve seen the Marina Bay Sands Hotel. Its design adorns every postcard of this first-world nation. With three colossal towers standing to hold a “boat” at the summit, the sight is majestic. (It’s the world’s most expensive stand-alone casino at $8 billion.) The Marina Bay Sands is the Eiffel Tower… The Burj… the Petronas Towers of Singapore. It’s now the land’s most photographed structure. Imagine running beside the Sands? For that’s what amazes you about Singapore: their planning and consideration for open, clean and green space. Along the Marina Bay is a boardwalk. That’s where, for 90 minutes, I ran. That’s where you’ll find tourists and locals strolling. It’s a haven for exercise that’s exercise heaven. Fresh air. The water streaming beside you. The Esplanade (or “durian”). I even found solar panels scattered around the boardwalk that provided lighting and cooling (with large fans) to passers-by. Just last year, when Singapore hosted the Youth Olympic Games, they built the Youth Olympic Park. Plus, around Marina Bay are the Singapore Flyer (Ferris wheel) and the Helix Bridge. Which got me to thinking: this is how our South Road Properties (SRP) should aim to look like. The similarities with Marina Bay are obvious. Both are on reclaimed land. Both sit on large tracts of land (ours is 300 hectares; theirs is 360). Both sleep beside the water. Our city leaders should visit the Marina Bay project—and copy portions of it for the SRP. Back to running; another thought came to mind: the Ungo Runners (Max Limpag) vs. Bobby Nalzaro debate on “Road Revolution.” Max and his fellow runners immensely enjoyed that Sunday when Osmeña Blvd. was closed to vehicles; Bobby opposed it. In Singapore, there’s no quarrel. There’s no need for road closure. Why? Because they’ve got sidewalks, open spaces, boardwalks, parks. We don’t. What we don’t have is strategic thinking. (Decades back, Lee Kuan Yew set aside wide roads and planted huge trees that now benefit his people.) Which leads me back to SRP. This open area is the only one we’ve got to do right. There’s nothing much we can do to save our Cebu City inner city roads. They’re narrow with zero sidewalks. The SRP is bare. The Marina Bay (www.marina-bay.sg) is our best, nearby example. Their vision? “A green-field site surrounded by water and gardens… that provides an opportunity for further urban transformation, attracting new investments, visitors and talent, as well as becoming a new destination for the local community.” They call it “Garden City by the Bay.” How should our SRP be named? Novak Djokovic has beaten Rafael Nadal four straight times. All, in the finals. And, during the last two times, on a surface that Rafa calls his territory: the clay-court. What’s happening? Where’s R & R? Are we seeing a new No. 1? Since Djokovic won the Davis Cup for Serbia last December, he’s been tennis’ Michael Phelphs on the Olympic pool. Unbeatable. But, interestingly, he’s still world No. 2. This showdown between Rafa and Novak will culminate in the most enticing of venues: the French Open. Imagine a final between the Spaniard and the Serb, with the top-ranking as trophy? BULLS. With Boston out and Los Angeles embarrassed with an 0-4 demolition, the new Celtics-Lakers rivalry is called “Miami vs. Chicago.” Yesterday, with the 6-foot-8 LeBron James targeting to dwarf the 6-foot-3 Derrick Rose, it was the team of Michael Jordan that won. Today’s MVP beat yesterday’s MVP. Bulls, 1. Heat, sub-zero. This should have been the NBA Final. This is the NBA Final. For the two protagonists at the opposite, Western hemisphere — Dallas and Oklahoma — are nobodies. At least, compared to the East side. Chicago, with an MJ pedigree that includes the boast, “Barack Obama’s City,” and Miami, “The Cruise Capital of the World,” are the stars of the NBA playoffs. All eyeballs will be on both red-colored jerseys. AZKALS. I just received an email from Wilma Entera of Ayala Center that the Azkals Football Team will be in Cebu for a mall tour on May 30. To the thousands who’ve longed to see the athletes who’ve achieved movie-star-like popularity, remember that date: two Mondays from now. BRIAN. The owner of Rose Pharmacy and Pyroworks – and a commissioner of the Cebu City Sports Commission — I asked Brian Lim about last weekend. Long-term goal? “Through Cebu Fest, Cebu will become a top sports tourist destination known around the world for its great sporting atmosphere, accessibility with an international airport and a highly-urbanized setting with hospitable locals. 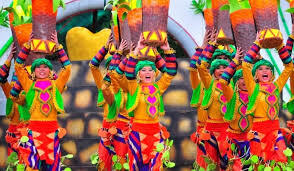 Just like Sinulog which attracts millions of tourists, the economic impact of such an event outweighs the investment. MOM. Mother’s Day was the other Sunday. So, this is a belated greeting. Only, it’s not. Today, May 17, is an important day. To Maria Elena “Allen” Zaldarriaga — the person who reared me in her womb, watched all my games as a child and was the noisiest cheerleader; the beautiful woman who was once — embarrassingly for me — mistaken as my wife because of her youthful looks; and one of the most passionate and expressive people that I know — Happy Birthday, Mom! I just arrived from an eight-day trip to Dipolog and Dapitan. 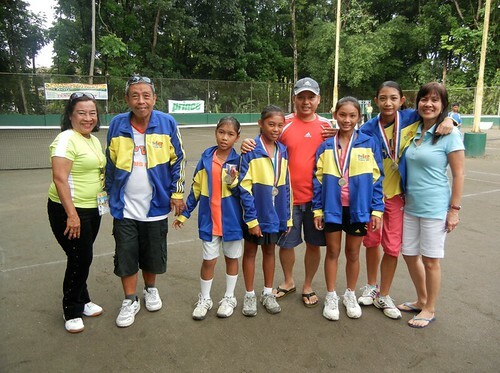 My daughter Jana joined the Palarong Pambansa for the first time, won four of her five singles matches and helped our Region VII win a tennis bronze. What did I learn from the excursion? Many. For one, I realized, upon landing in Mactan and crossing the Marcelo B. Fernan Bridge and gazing at Cebu’s mountainous and water-surrounded terrain… that the best city in the Philippines is our own. Manila is busy, polluted, hectic; Dapitan and Dipolog, at the opposite end, offer too relaxed a lifestyle. Second: I’ve realized the importance of the Palaro. Started in 1948, it is a must-program for our sports-hungry nation. Before the elementary and high school students get to participate in the Palaro, they’ve got to pass through a rigorous process. In our case, there’s the Cebu City Olympics (city meet), then the CVIRAA (Central Visayas meet). Only the best — from the tens of thousands of participants — get to compete each summer. The Palaro is essential. That’s why it should be kept as a yearly expedition. Third lesson: Cebu — the capital of the Visayas and Mindanao; the leader of our archipelago in many disciplines — needs to think long-term. In Dapitan and Dipolog, though Jasmin and I joined our daughter for over a week, we hardly had time to visit the other sporting events. The reason? The venues were spread out. Sayang. 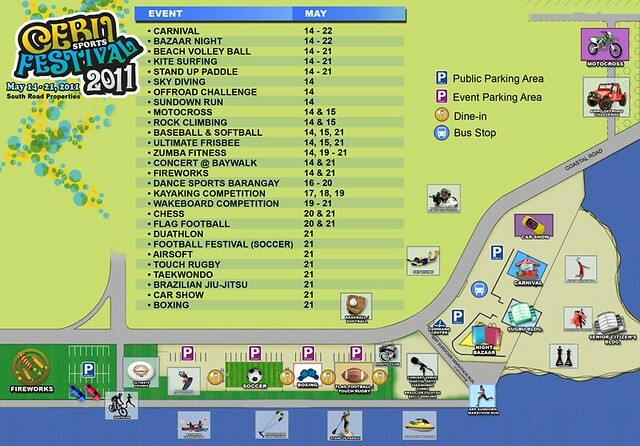 The Cebu Sports Fest, held in the SRP, is terrific. But, more than this 9-day long (May 14 to 22) event, we need the SRP for a more grand undertaking. 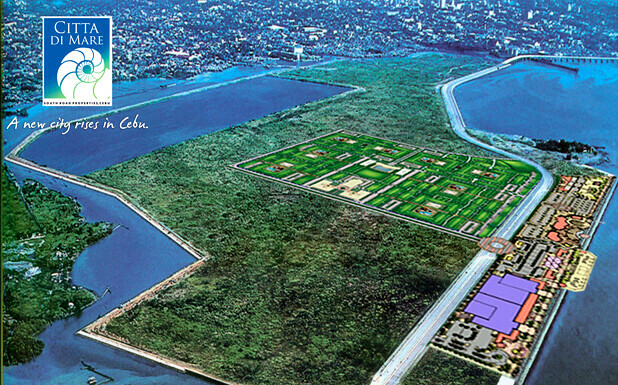 Mayor Mike Rama and Congressman Tommy Osmeña must agree on allocating space for sports in the reclamation project. The SRP is 300 hectares in area. That’s a lot of green-land. For now, we know that Filinvest has purchased 10.6 hectares and engaged in a joint venture with Cebu City for another 40. That’s 50.6 hectares for Filinvest. SM? Led by SM Prime Holdings President Hans Sy, the retail giant purchased 304,100 square meters (or 30.4 hectares) for P2.7 billion. They made a down-payment of P406 million last year and, the balance, payable in six years. That’s a total of 80 hectares by the Filinvest and SM groups. Which leaves about 220 hectares as open space. My suggestion? Allocate 10 hectares for sports. (That’s only 3 percent of the SRP.) The dream? To host the Asian Games in 20 years. Held every four years, the Asiad started in 1951 and will be 60 years this year. The first Games were held in New Delhi, India. In 1954, the second Asian Games were organized. Guess who hosted? Manila. Since then, Bangkok has hosted four times, and mega-cities like Beijing, Tokyo and Seoul have also played hosts. The Philippines? Wala na gyud. Can the City of Cebu — assisted by Lapu-Lapu, Mandaue, and, of course, Metro Manila — host the games, possibly in 2031? Why not! If we’ve done the ASEAN Summit here in 2007, the SEA Games co-hosting in 2005, and regularly host international CEOs at the Shangri-La, we can host a giant tournament. But we need the SRP. Without earmarking a sports zone, we cannot host. Or, even if we do play hosts, even to smaller contests like the Palaro, we’ll suffer the same fate as Dapitan. The SRP — imagine a wide-open, all-in-one arena where football fields sprout, baseball diamonds glitter, tennis courts smash, and the swimming pool splashes — is perfect. Cebu, like it always does, must take the lead.